Pedagogy & Identity Formation by Dr Abdullah Sahin”*. Aims and benefits of the conference include? 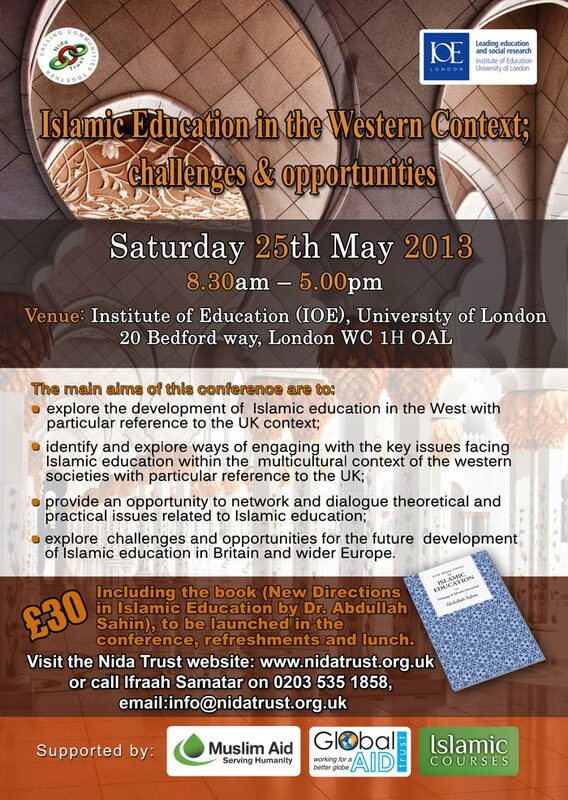 This conference is open to academics, practitioners, researchers, community leaders and anyone interested in finding out more about Islamic education.